Noam Chomsky is such a prolific writer that it is hard to know where to start when reading his writings. What’s more, useful criticisms of these writings can be difficult to find among all the largely useless right-wing comments on the internet. So here is a list of Chomsky’s major - largely political - writings followed by a list of the more useful critiques of his thought. Please suggest any others that we've missed. - A collection of his best articles. - A selection of Chomsky’s interviews on everything from linguistics to anarchism. - Chomsky's first political book, including his take on the Spanish Revolution. - The classic analysis of the USA’s relationship with Israel and the Palestinians. - Another classic, this time on the US media. - A damning history of US imperialism. - Chomsky’s view of US foreign policy at the time of the disastrous occupation of Iraq. Hugo Chavez displayed this book during his 2006 speech at the UN. - A short summary of Chomsky’s linguistics. 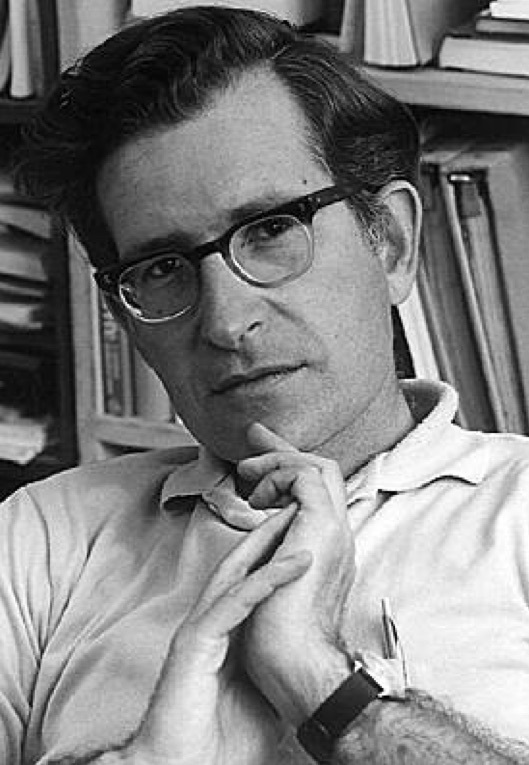 Zellig Harris’ influence on both Chomsky’s linguistics and his politics was ‘enormous’. Zellig Harris is pictured here, on the left, next to his friend, the council-communist Paul Mattick. Chomsky had a number of discussions with Mattick but says he was ‘too orthodox a Marxist for my tastes’. - The most thorough biography of Chomsky. - The most thorough summary of Chomsky’s linguistics. - A harsh critique of Chomsky by the polemical anarchist author. - Did Chomsky have this issue of the anarchist journal, The Raven, banned? Decide for yourself. - An useful journalistic introduction to the most recent controversies in the ‘language wars’. - This book explores the tension between Chomsky's Pentagon funding and his role as linchpin of the political left and the way that tension led him to establish a radical disconnect between science on the one hand and politics on the other. It is the fundamental duty of the citizen to resist and to restrain the violence of the state." Chris Knight's Decoding Chomsky - science and revolutionary politics is out soon. 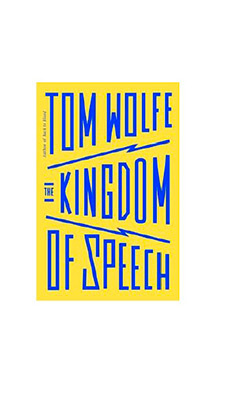 Also, despite it's many flaws Tom Wolfe's new book on Darwin and Chomsky, The Kingdom of Speech will introduce a wider audience to the debates around Chomsky's linguistics. Pirates and Emperors, Old and New: International Terrorism in the Real World. Are we now promoting anti-evolutionary conservatives (Wolfe) to take down Chomsky? Aren't reviews in the NY Times (2), Financial Times, Washington Post, etc., enough promotion for this guy? There are dozens of better sources on "the debates around Chomsky's linguistics" than Wolfe's or Knight's books. Also, it seems "hedgehog" is just Chris Knight's pseudonym, here promoting his own book, and some pernicious lies about Chomsky. This LibCom reading list is exactly the same as on Knight's website, published first on LibCom (Feb. 7) and then on Knight's website (July 9): http://scienceandrevolution.org/blog/2016/7/11/noam-chomsky-a-reading-guide So either Knight is plagiarizing LibCom without reference, or 'hedgehog' is 'Chris Knight'. Moreover, nearly all of 'hedgehog's posts are promotions of Chris Knight talks, and so on and so forth. So Chris, please just publish under your own name. That makes the reading list more transparent, and makes it more clear you are directly to blame for, e.g., the disingenuous intro line for the Brian Bamford Raven publication ("Did Chomsky have this issue of the anarchist journal, The Raven, banned? Decide for yourself."). That ridiculous claim goes beyond anything what Bamford himself claims (claims that are themselves based on the flimsiest of evidence, as becomes clear from his own description of the events). Enjoy your talks with your comrades at the Communist Party of Great Britain (https://www.youtube.com/watch?v=c-Xn6dZkS2k).